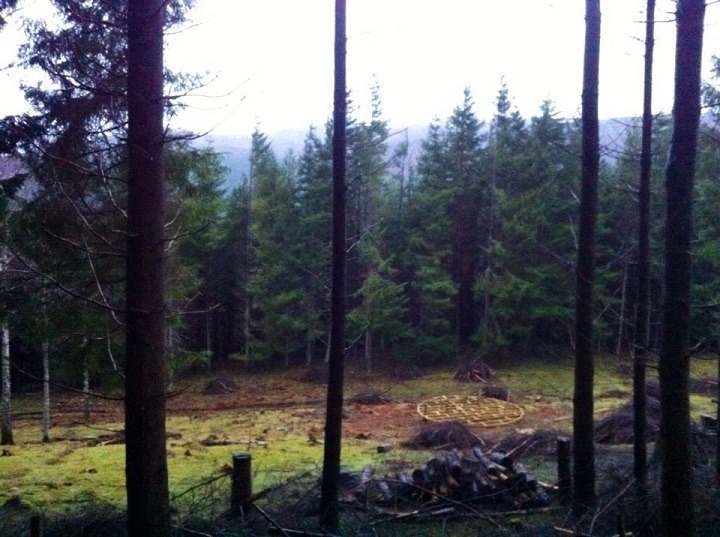 Stay here in Crochail woods, in the yurt if you fancy a bit of an adventure. The yurt has its own secluded spot in the woods, it has a double bed as well as a pull out futon, so it is perfect for one or up to four if you are happy to share. It has a wood burner and gas to cook on, there is also an outdoor compost loo and a solar shower. It is a wonderful get away for those looking for something a little different. 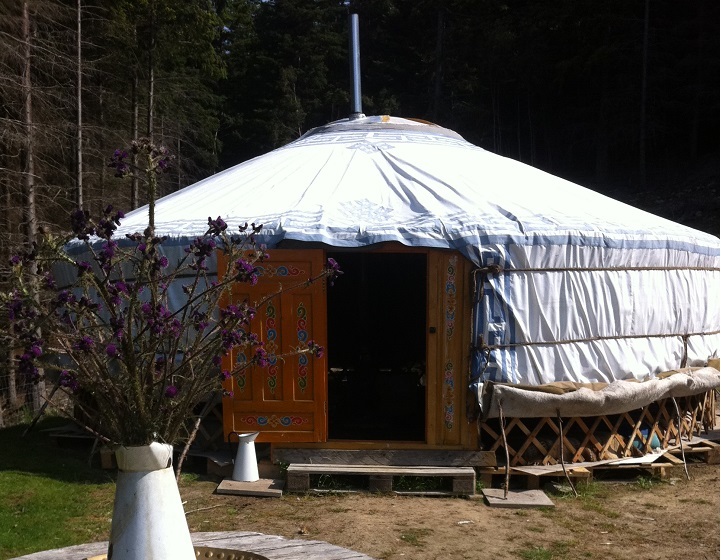 The yurt is originally from Mongolia, it is fleece lined with a canvas and waterproof cover. The woodwork like most gers (the Mongolian word) is painted and decorated with patterns. We have put a wood burner at its centre, in the same position it would be in a Mongolian Ger. We visited Mongolia in 2010, staying rurally in a ger, to learn traditional methods of felting from a nomadic Mongolian family. You find out more about the trip on our blog. 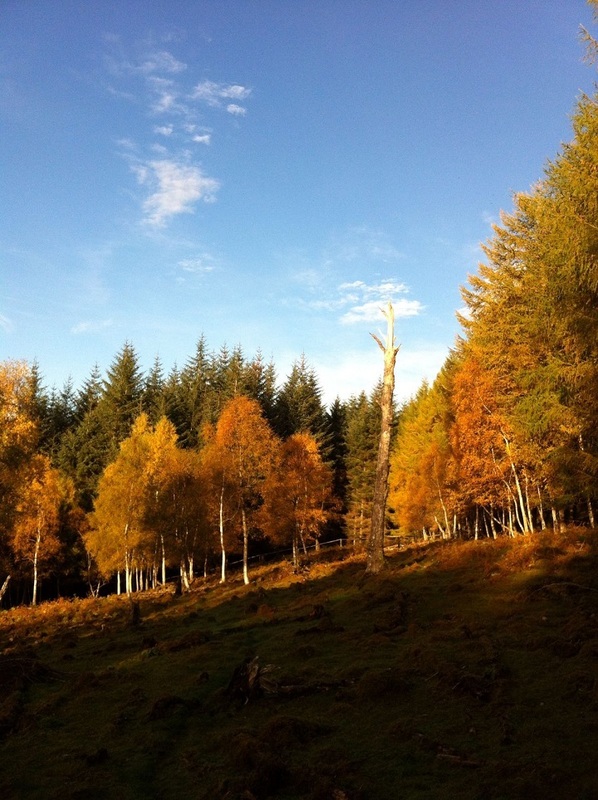 Our yurt is £75 per night which includes bedding, firewood & basic provisions. However, if you would like us to provide you with a breakfast or supper box, containing everything you will need for either meal you can let us know.